High amounts of sugar in the blood can eat away your vital organs, causing them to degenerate over time and lead to serious illnesses (not to mention rotten teeth!). Thankfully, controlling blood sugar levels naturally, without the use of medications, is well within your reach. You can lower your blood sugar levels without drugs by using supplements and making a few simple, yet effective lifestyle changes. Your blood sugar level can be determined by taking a blood sample, either in a fasted state, or two hours after eating. If your blood sugar is less than 100 mg/dL after an eight-hour fast or less than 140 mg/dL two hours after eating, you’re in the normal range. If you conduct a test in the morning, after sleeping for eight hours, and your blood sugar is at 126 mg/dL or higher, you’ve got high blood sugar. An estimated 29 million people in the U.S. have type 2 diabetes, which is the result of blood sugar levels being consistently high. Another 86 million have prediabetes, which can lead to type 2 diabetes and cardiovascular disease. Prediabetes, however, can be reversed (and some evidence suggests type 2 diabetes can, too) by finding ways to naturally lower blood sugar. If you want to prevent serious illness without the use of medication, the following are a few proven ways you can lower your blood sugar naturally. The best way to keep blood sugar levels down without medication is to eat less sugar. The less sugar you consume, the smaller the metabolic response will be—keeping your pancreas and insulin levels healthy. You can cut back on sugars by limiting your intake of processed foods, sauces, fruit juices, candy, and soda, and paying attention to nutrition labels. In turn, boosting your intake of fruits and veggies can have major benefits. Instead of sauces, opt for sugar-free seasonings and rubs, and try to drink water in place of other beverages. All of this can have immediate benefits for lower blood sugar. Lean sources of protein like eggs, egg whites, chicken breast, turkey breast, extra-lean ground beef, bison, etc. are all filling food options that have no sugar. These lean options will not cause a spike in blood sugar, and they provide high satiety so you won’t snack on sugary options later in the day. If you elect to have these high-protein options in a sandwich form, pick a whole-grain bun, because it won’t elicit the same metabolic response that white bread will, keeping blood sugar levels from spiking too high. Including some dietary fat with your meal or as a snack (i.e. a handful of almonds, peanuts, cashews; or a slice of avocado or drizzle of olive oil) can also improve insulin response. Instead of reaching for a sugary snack or plate of fries as a side, opt for nuts and fruit or a salad with olive oil and balsamic vinegar. Whey protein is a very affordable and accessible supplement that offers a number of health benefits, including insulin response control. Having one to two scoops of whey protein 20 to 30 minutes prior to a meal can improve the absorption of sugar and keep insulin from spiking. One of the best ways to regulate blood sugar and keep it in a normal range is activity. Every time you contract a muscle—walk, jog, grab a cup, do a bicep curl—sugar is required to fuel the muscles. There is plenty of evidence that indicates exercise can reverse prediabetes and regulate blood sugar, so finding ways to increase activity every day can offer some real benefits. Going for a light walk after a meal, for example, can improve sugar absorption and keep levels normal. Moderate activity like going for a walk after a meal will have immediate benefits, but including more intense activity can provide more long-term benefits that can lead to a reversal of prediabetes and even type 2 diabetes. Resistance exercise, cycling, swimming, jogging, or any other form of regular exercise can improve the way your body metabolizes sugar, and can create long-lasting benefits to improve and maintain health. When you eat too much, your body has a hard time breaking down and absorbing the nutrients. If you eat a big meal that’s high in carbs, that’s double-trouble! Refined sugars are absorbed almost instantly, and a large amount will send your pancreas and insulin response into a frenzy. Because there is too much sugar and nowhere for it to go, it begins doing damage to your waistline and organs. By eating smaller meals more frequently, you can limit insulin response and regulate blood sugar. ALA is an antioxidant made by the body, but it can also be purchased in supplement form. It can help the body utilize blood sugar and convert it to energy, while also fighting off damage and infection to organs. 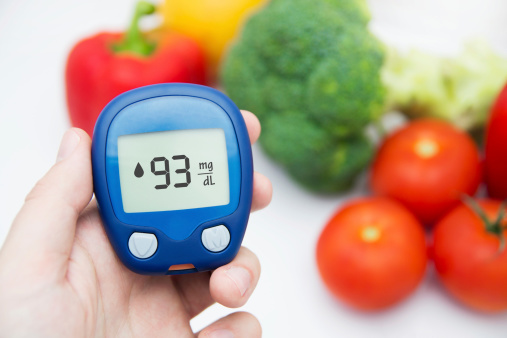 Evidence shows that it can lower blood sugar levels, improve insulin response and combat peripheral neuropathy in diabetics. Adding cinnamon to spice up your favorite foods or taking it as a supplement can also help lower blood sugar without medicine. Dosages of up to six grams per day can reduce blood sugar and other diabetes risk factors. Chromium is an essential mineral that helps the body regulate blood sugar levels, and is a nutrient 90% of Americans aren’t getting enough of. Including chromium in your daily supplement regimen is highly recommended as a way to naturally normalize blood sugar. Drinking green tea is another way to boost your metabolism and reduce weight, both of which are important in regulating blood sugar and lowering the risk of diabetes. People who drink up to six cups per day have a significantly lower risk of getting type 2 diabetes or cardiovascular disease than those who drink one cup per week. Supplementation doesn’t seem to offer the same benefit, so take a tea break! Keep in mind that the main way to lower your blood sugar naturally is to eat less of it. If the sugar isn’t getting in, it can’t do the damage. Speak to your doctor or health practitioner for further advice. Type 2 Diabetes Risk & Global Warming: What’s the Link? “Incretin, insulinotropic and glucose-lowering effects of whey protein pre-load in type 2 diabetes: a randomised clinical trial,” Diabetologia, July 7, 2014; https://link.springer.com/article/10.1007%2Fs00125-014-3305-x. Frid, A.H., et al., “Effect of whey on blood glucose and insulin responses to composite breakfast and lunch meals in type 2 diabetes subjects,” American Journal of Clinical Nutrition 2005; 82(1): 69-75. Colberg, S.R., “Blood glucose responses to type, intensity, duration and timing of exercise,” Diabetes Care 2013; 36(10): no. 10e177. Gannon, M.C., et al., “An increase in dietary protein improves blood glucose response in persons with type 2 diabetes,” American Journal of Clinical Nutrition 2013; 78(4): 734-741. DiPietro, L., et al., “Three 15-minute bouts of moderate post-meal walking significantly improves 24-h glycemic control in older people at risk for impaired glucose tolerance,” Diabetes Care 2013; doi: 10.2337/dc13-0084. Ehrlich, S.D., “Alpha-lipoic Acid,” University of Maryland Medical Center web site5; http://umm.edu/health/medical/altmed/supplement/alphalipoic-acid, last accessed July 24, 2015. Ansar, H., et al., “Effects of alpha-lipoic acid on blood glucose, insulin resistance and glutathione peroxidase of type 2 diabetic patients,” Saudi Medical Journal 2011; 32(6): 584-588. “More than 29 million Americans have diabetes; 1 in 4 doesn’t know,” Centers for Disease Control and Prevention web site, June 17, 2014; http://www.cdc.gov/features/diabetesfactsheet/. “High blood sugar, diabetes, and your body,” WebMD web site; http://www.webmd.com/diabetes/how-sugar-affects-diabetes?page=1#1, last accessed July 24, 2015. Bertelsen, J., et al., “Effect of meal frequency on blood glucose, insulin, and free fatty acids in NIDDM subjects,” Diabetes Care 1993; 16(1): 4-7. Khan, A., et al., “Cinnamon improves glucose and lipids of people with type 2 diabetes,” Diabetes Care 2003; 26(12): 3215-3218. Cefalu, W.T., “Role of chromium in human health and diabetes,” Diabetes Care 2004; 27(11): 2741-2751. Ehrlich, S., “Chromium,” University of Maryland Medical Center web site, July 9, 2015; http://umm.edu/health/medical/altmed/supplement/chromium, last accessed July 23, 2015. Kim, H.M., et al., “The effects of green tea on obesity and type 2 diabetes,” Diabetes and Metabolism Journal 2013; 37(3): 173-175.